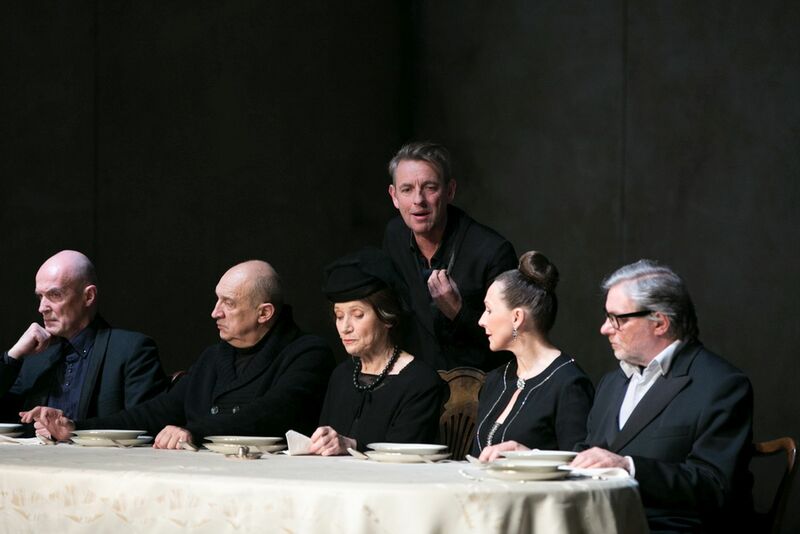 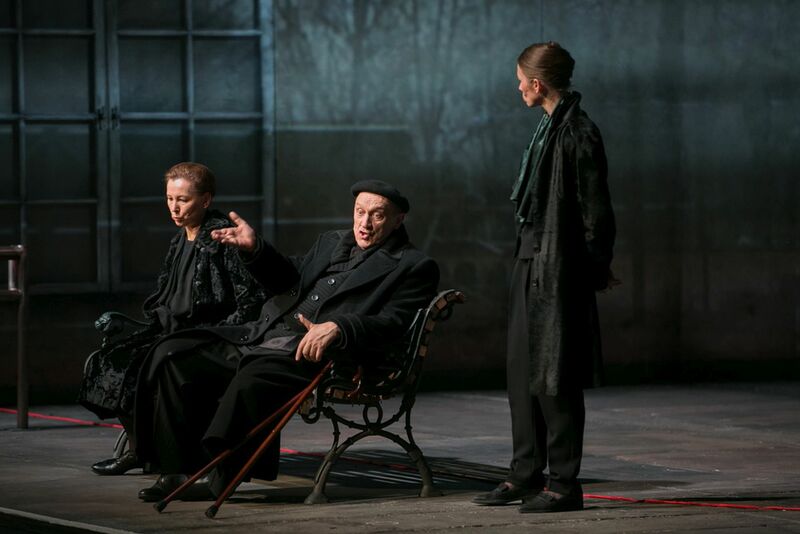 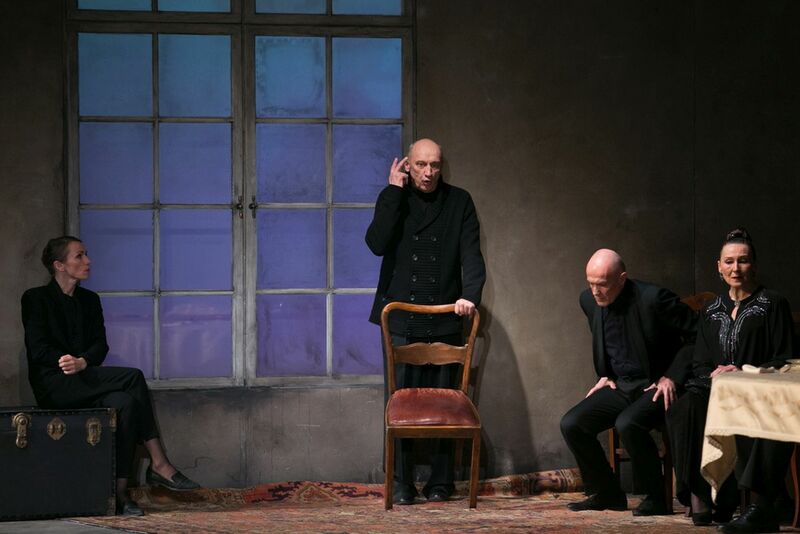 The Polish premiere of "Heroes' Square" ended the 8th Divine Comedy International Theatre Festival on Sunday. 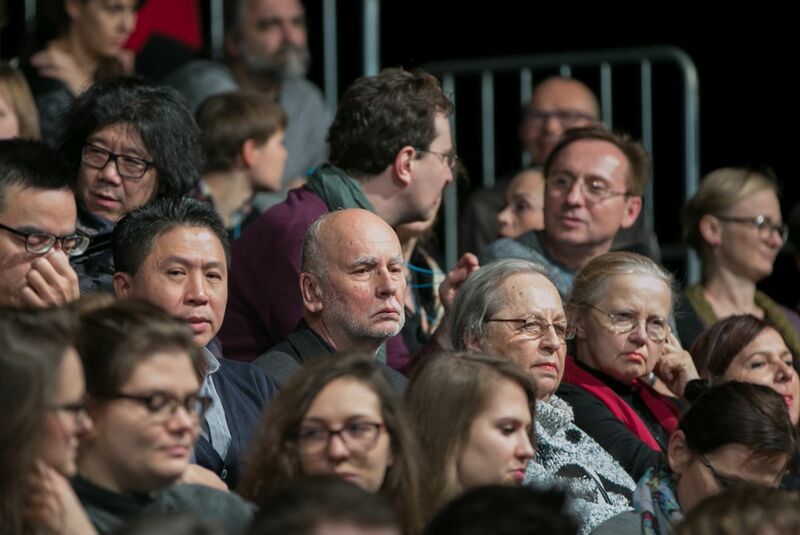 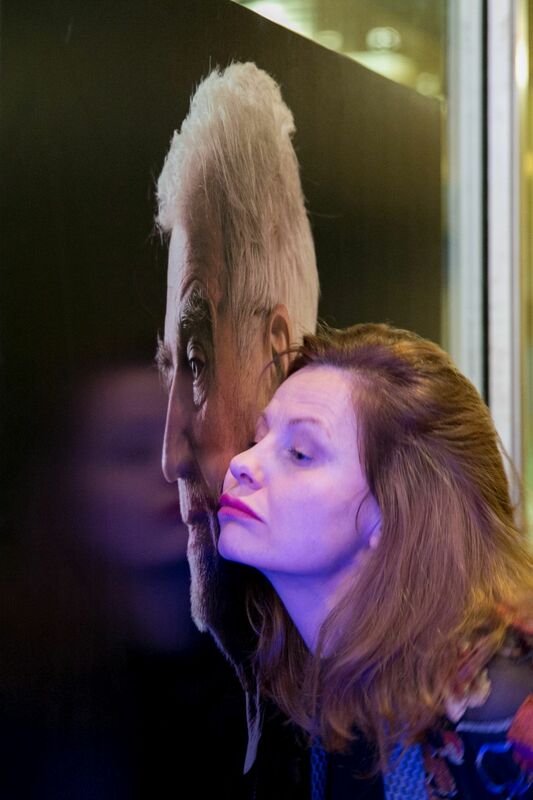 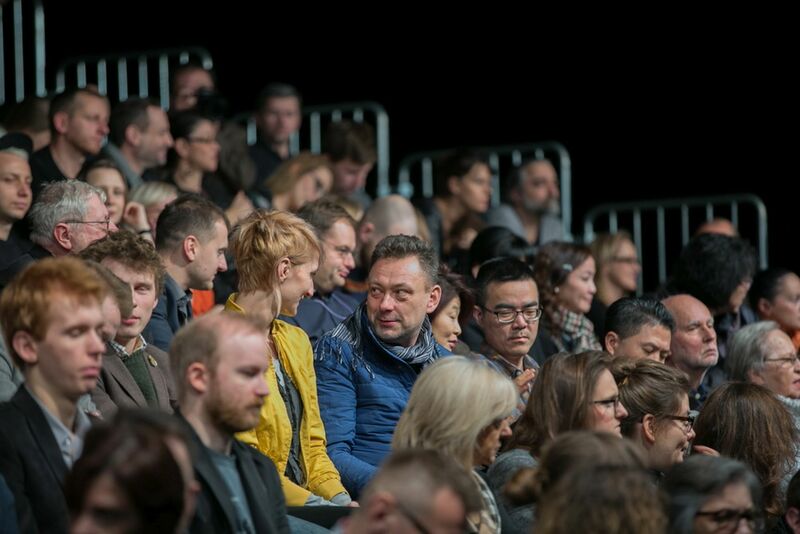 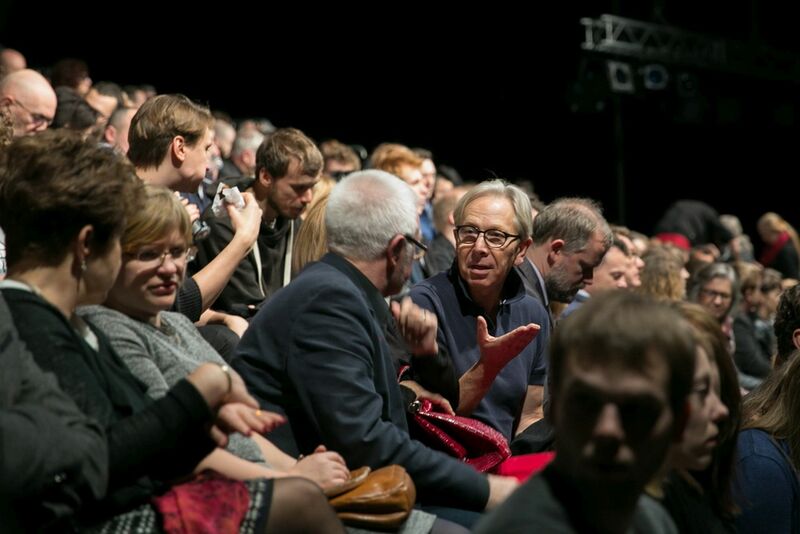 It also provided a frame for the whole festival: the productions that opened it were also Divine Comedy co-productions: "Unbearably Long Embraces" directed by Ivan Vyrypaev, "Kalkstein / The Black Sun" directed by Joanna Grabowiecka and "Significant Others: Depressions. 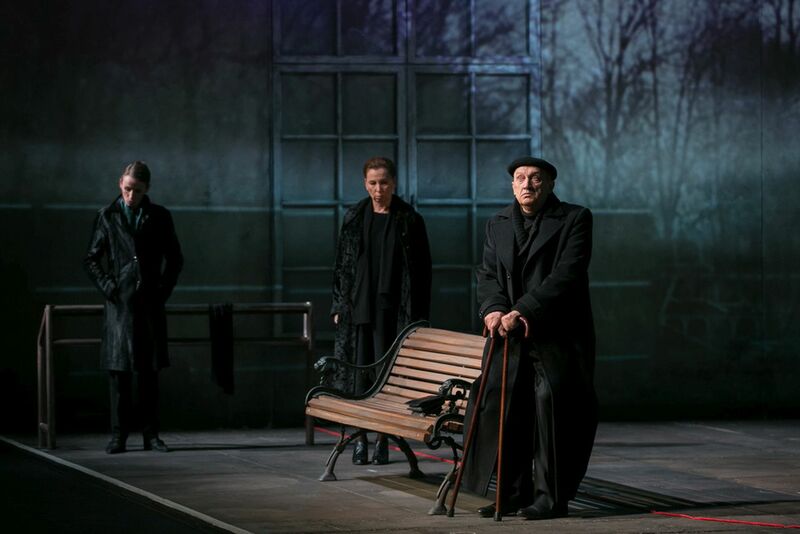 Szymborska, Rymkiewicz, Bielicka" directed by Jacek Kozłowski. 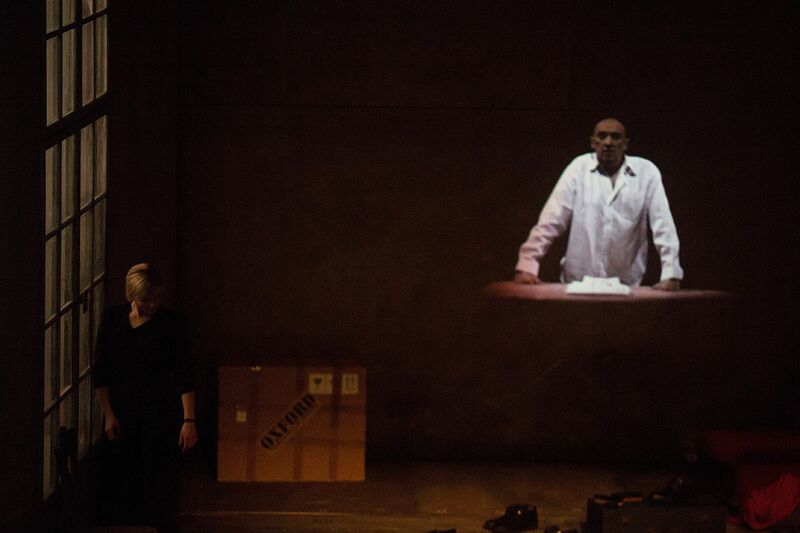 Krystian Lupa's latest production is our festival's first international co-production. 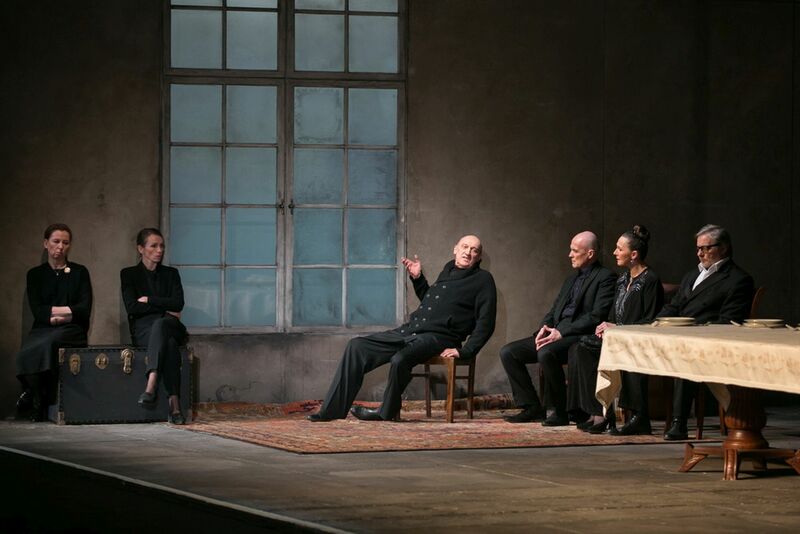 The text by Thomas Bernhard, Lupa's favourite playwright, refers to the events of March 1938, when Hitler annexed Austria. 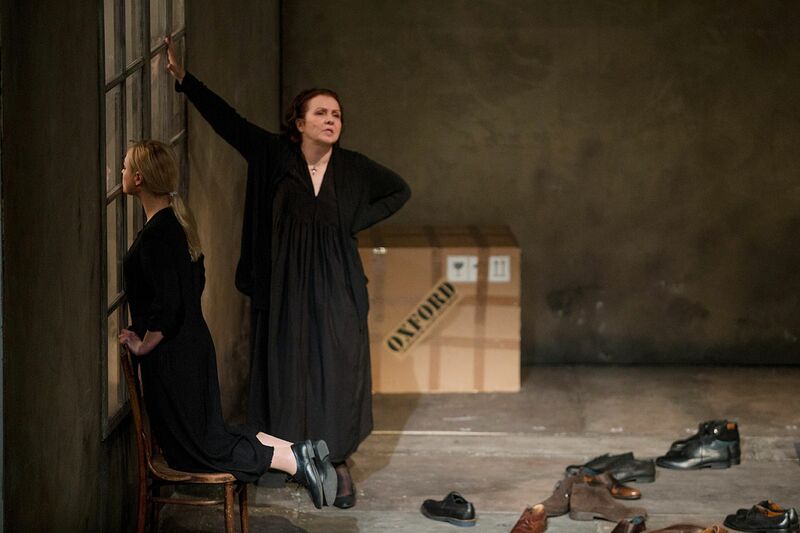 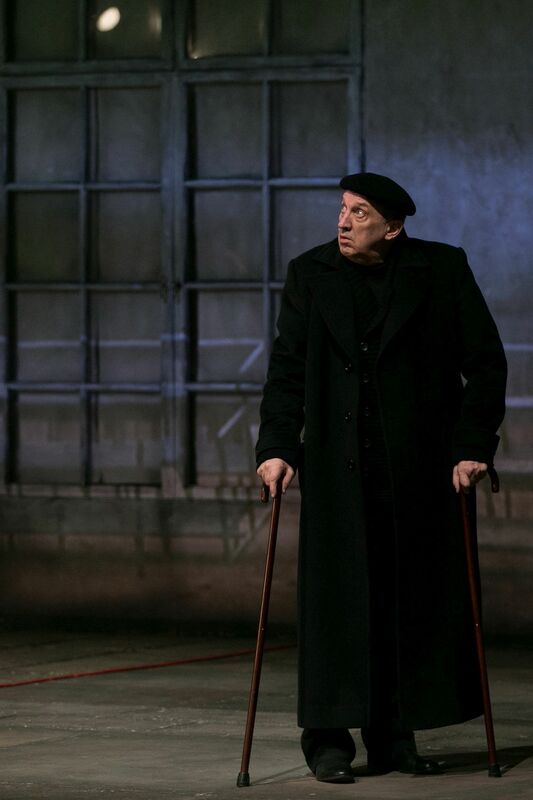 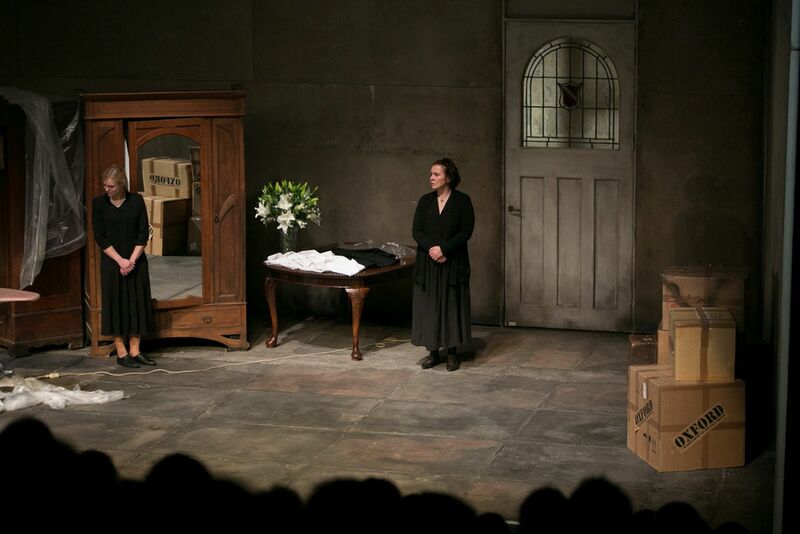 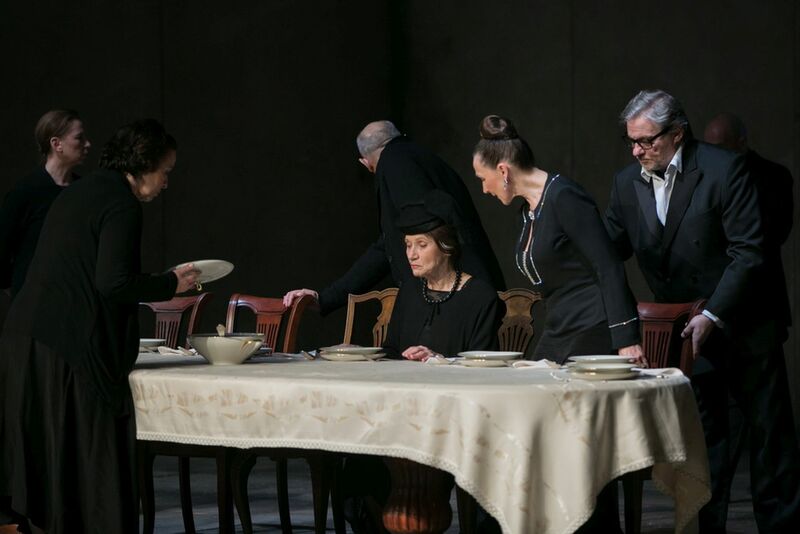 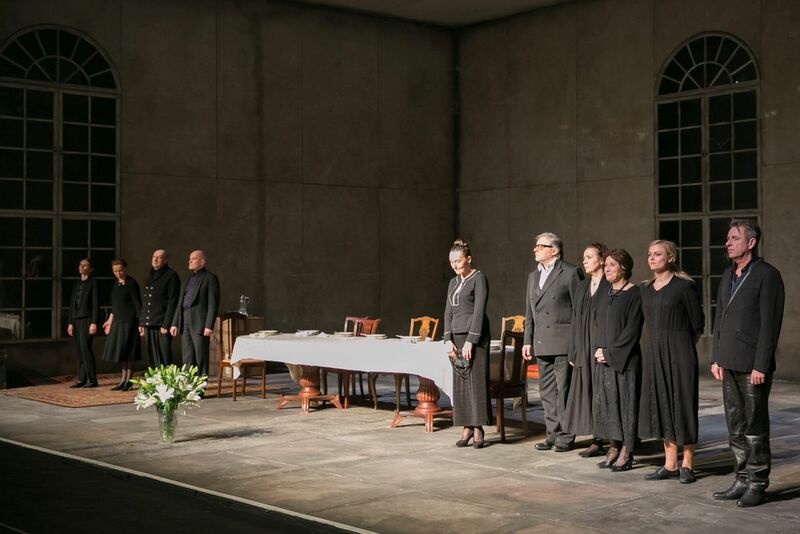 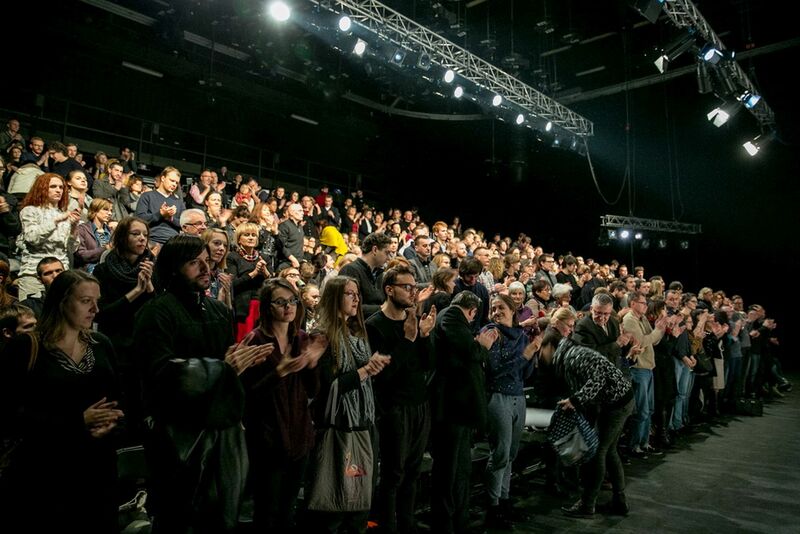 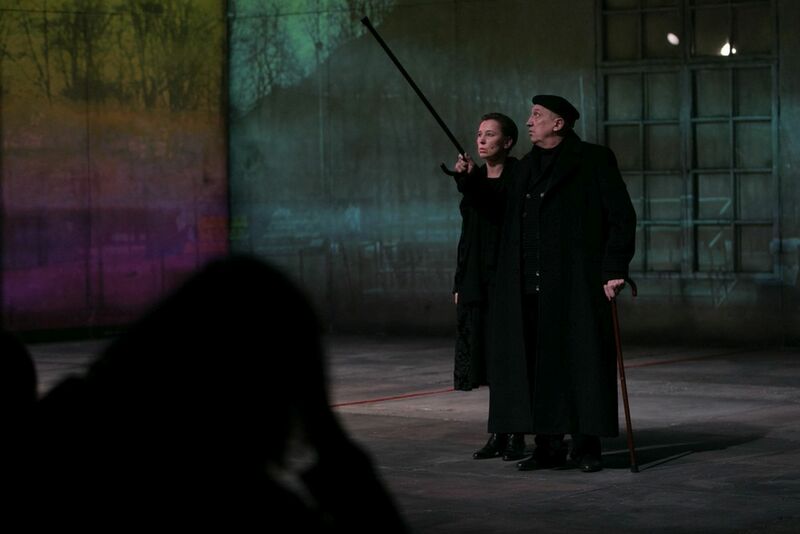 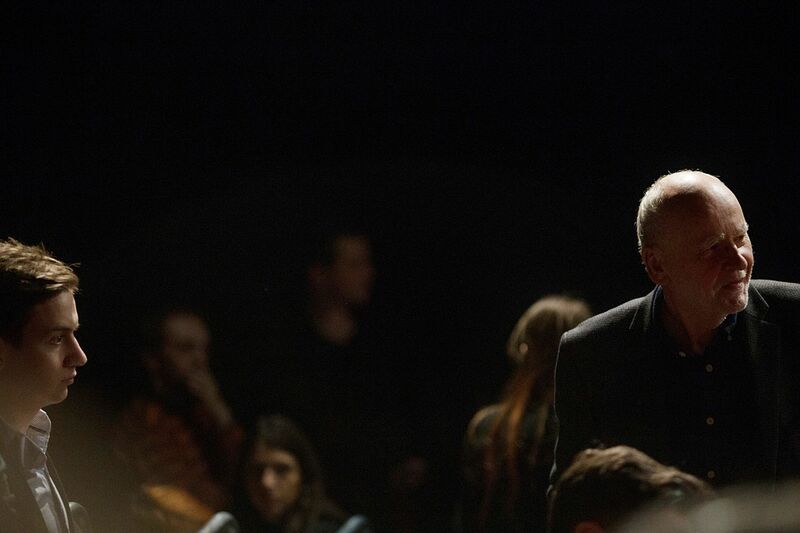 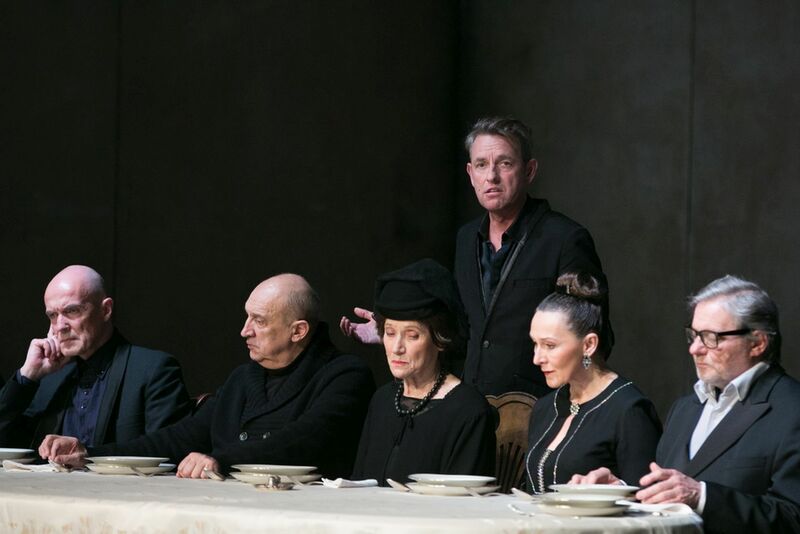 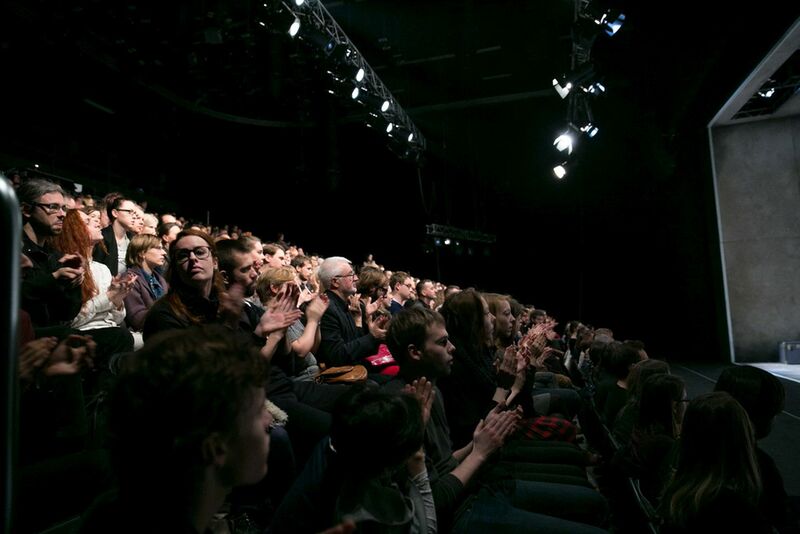 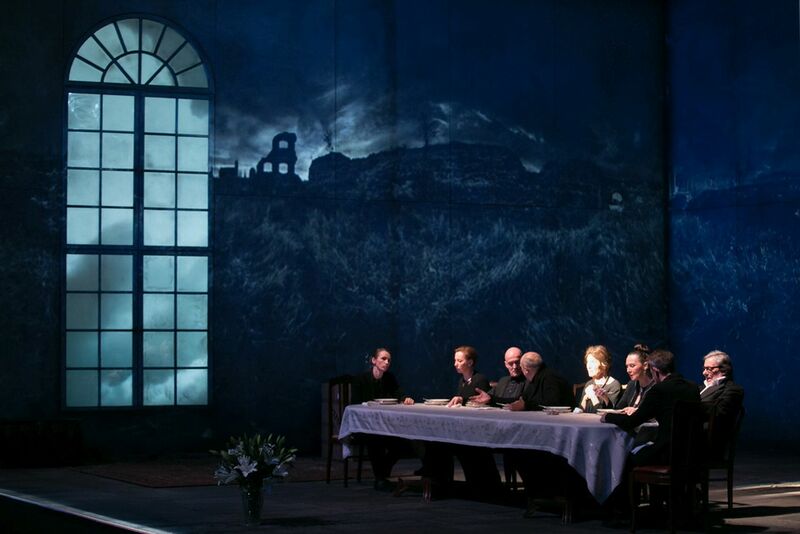 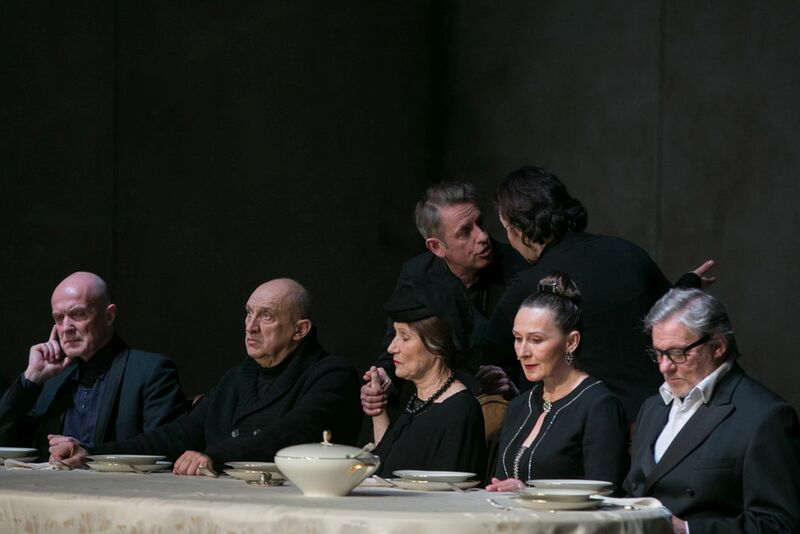 "Heroes' Square" premiered at Lithuanian National Drama Theatre on 27 March 2015 and it turn out to be quite controversial, since "it clearly referred to the current political situation in Lithuania, presenting the viewers as silent witnesses, refraining from reacting to the dangerous ongoing changes. 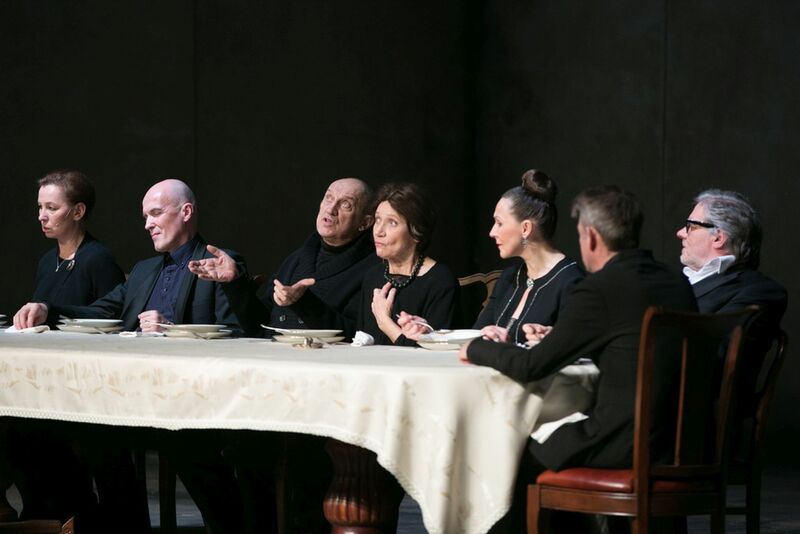 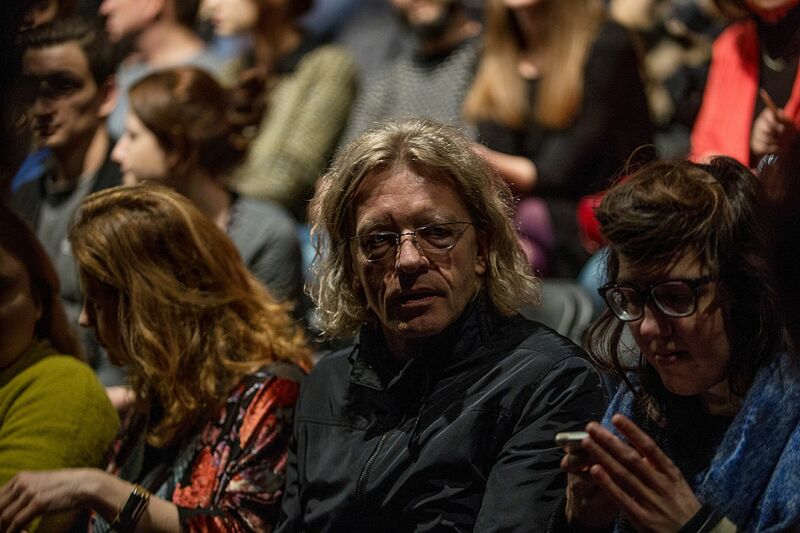 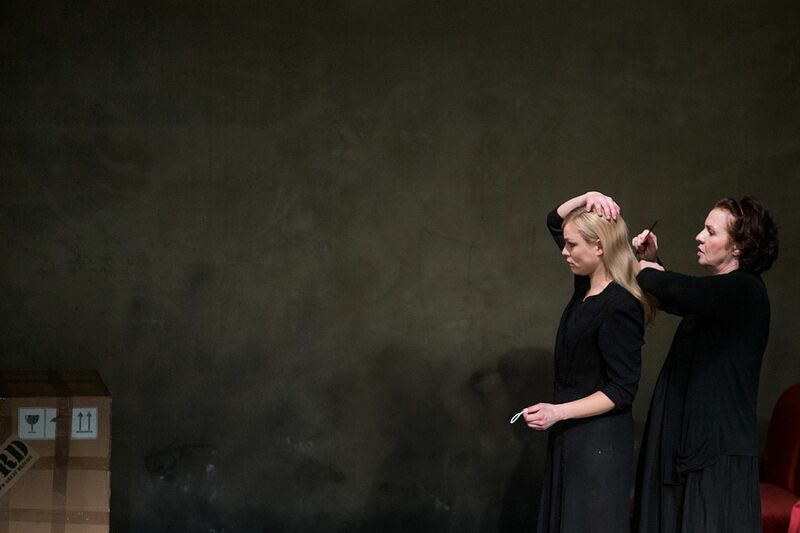 Lithuanian actors smoothly endered Lupa's convention of theatrical utopia, patiently dragging the viewers into a catastrophic trance of intertia," explains Bartosz Szydłowski, the Artistic Director of the Divine Comedy International Theatre Festival. 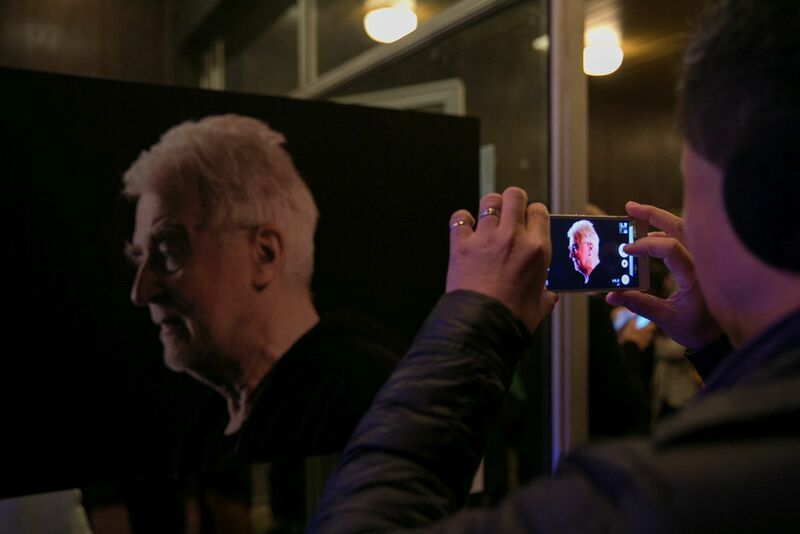 viewer's special requests after the tickets for the first showing sold out almost instantaneously. 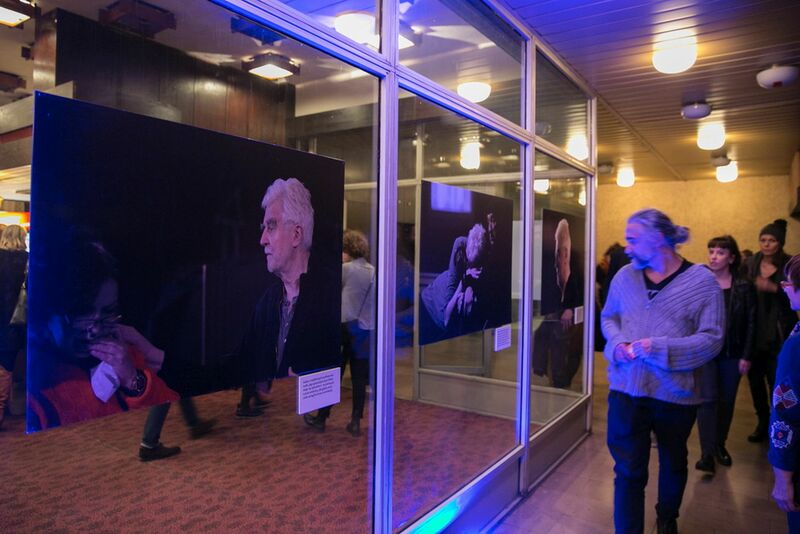 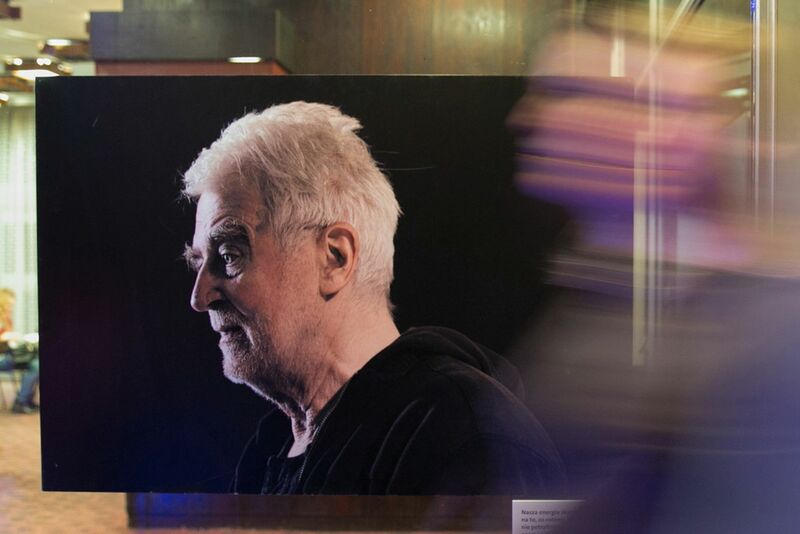 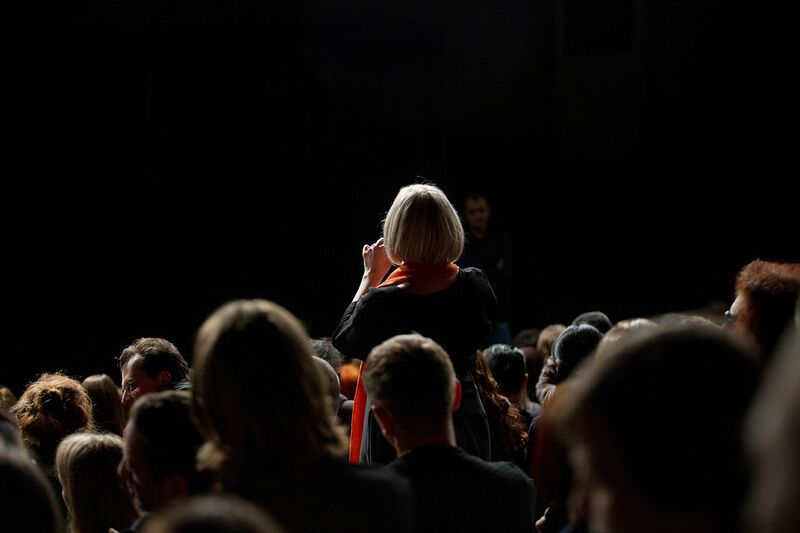 The venue, S3 Studio in Łęg, presented an exhibition of photographs of Krystian Lupa, accompanied by the director's comments concerning the creative process behind the production.